On Saturday, one of my friends got married and it was a happy ending of yet another love story. 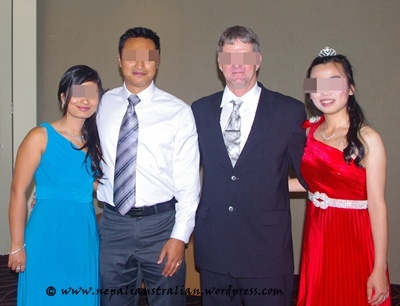 My friend, HW is from China and her boyfriend, RF is an Aussie and there is a bit of story to tell you before I go into the details about their wedding. HW and RF met in a university 6 years ago in a small town called Orange in country NSW. HW finished her bachelor degree and moved to Sydney to do her masters while RF stayed there and continued his study. So they have been having a long distance relationship for the last 4 years. They used to travel whenever possible to meet each other. On top of that HW’s family were not ok with the relationship in the beginning which pushed the wedding further because HW didn’t want to be married without the blessing of her parents. 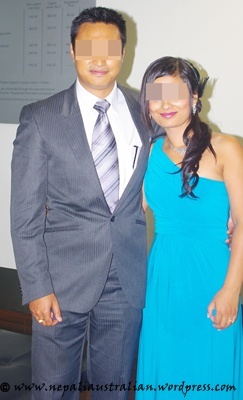 Like most parents, her parents wanted her to find a Chinese guy to be her husband. Last year RF had to go to China for work so he made an arrangement to go and see HW’s parents even she was not there. I think meeting with the guy in person helped HW’s family to realise that RF is a good person and their daughter will be happy with him. Despite the language barrier, they were happy to meet the guy their daughter was talking about for a while. Luckily everything fell into place and last Saturday they got married. HW’s parents were here from China to bless her and RF had his family present as well. It was a beautiful wedding with their friends and family. They had a registry wedding followed by reception. The bride wore a while gown with maroon embroidery with a long the train for the wedding and she changed into a red gown with diamonds for reception. The groom wore black dinner suit. She made her own bouquet with pink and orange roses. Me and my friend SL were the bridesmaids. We both choose to go with a long gown; I wore an aqua blue one while SL wore a purple one. First we went to the marriage registry where they had their wedding vows exchanged in front of the wedding celebrant. Then we came back to the hotel where we had nibbles and drinks followed by a buffet dinner. There was a toast for the bride and groom with a few speeches which was then followed by the cake cutting ceremony. So everyone out there in a long distance relationship and/or intercultural relationship (I have a few specific people in mind right now), hope this year will bring you lots of hope and good luck for your own wedding. I am sure I will be reading about your wedding preparation in the near future. 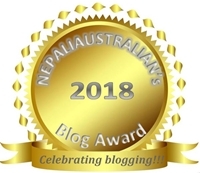 I have read a few blogs from the perspective of a wife, a husband or a daughter in law in an intercultural relationship but never from the prespective of a mother in law. Yesterday I was talking to one of my colleague and I came to know a bit about the perspective of a mother in law and it was quite interesting so I am sharing it here with all of you. My colleague is from Russia and she moved to Australia more than 20 years ago. She has two boys who were both born and brought up here. So they are more Aussie than she wants them to be. Anyway, her older son was in a relationship with a Japanese girl for a while. 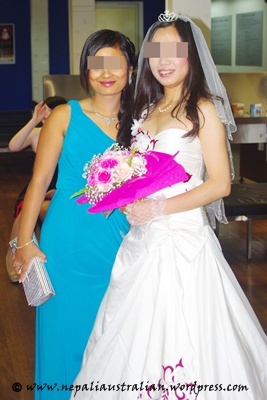 They met when she came to Australia as an exchange student. Last month they got married in Japan so my colleague and her family flew to Japan to attend the wedding. She wanted a Russian daughter in law. She wanted to be a part of the wedding preparation but she was never consulted about anything. 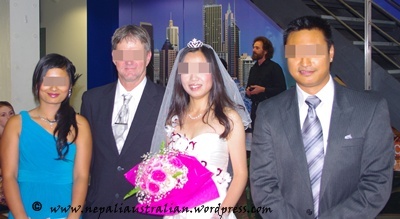 She wanted the wedding to be in Australia especially after the nuclear problem in Japan recently. She was scared that her son was planning to move to Japan after the wedding. Yesterday I saw her for the first time after the wedding. When I asked her how the wedding went, she was positive about her experience. 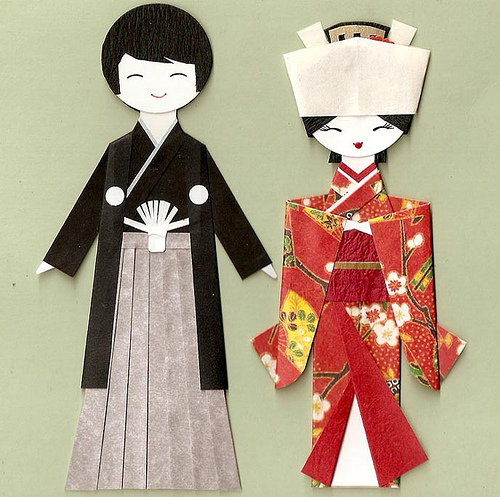 She said she is happy about lots of things after visiting Japan as she can now see that some of the things she was not happy about with her new DIL is more cultural than personal. For example, she was a bit sad when her DIL didn’t hug her when they met. Now she is happy that DIL doesn’t hug her mum either which means that hugging is not a part of the Japanese culture. It made her realise that her DIL is not trying to keep a distance from her; it just is not a part of Japanese way of life. Also she was happy that the bride’s family made a lot of effort to make them feel comfortable and welcome in Japan. The most important thing for her was, that her son and DIL spent lots of time with them and made sure that they were looked after while they were there. So now she doesn’t worry about how her DIL is taking her son away from ber as she feels that her DIL is a part of her family now. I think all relationships are difficult in the beginning but for intercultural relationship it is more difficult for a man and woman but same goes for their families as well.